Home automation is trending upwards and more and more people starting the journey every day. If you are one of them then you may like our Smart Home beginner's primer. One of the key questions you might have is what is the best Zwave switch I can add to my repertoire. If you’re interested in home automation – particularly automating the lights in your home – a Z-wave wall switch is a must-have. Smart switches can automate almost anything that can be controlled by a traditional switch: lights and fans being the most common ones. While more expensive than smart bulbs, Switches offer more flexibility and in my opinion are better investments in the long-run compared to bulbs. 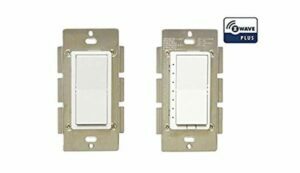 In this article, we’ll discuss the top 10 choices you have for a Z-wave wall switch in 2018, and we’ll help you find the best Zwave switch for your home. Let’s get started! What is a Z-Wave Switch – And why do I need a Z-Wave compatible switch for my home? 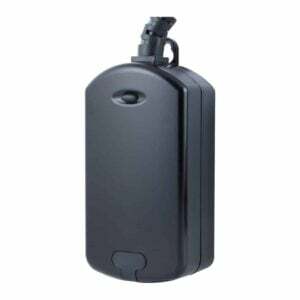 Z-wave is a type of specialized radio frequency technology. In a way, it’s similar to your home’s WiFi network. However, it is not built to connect computers and other high-bandwidth devices. Potential uses of Z-wave include automating your lights, automatically locking doors at night, detecting temperature and humidity to automate HVAC systems, and much more. A Z-wave smart switch or Z-wave dimmer switch allows you to control your lights, both wirelessly and by interacting with the switch physically. 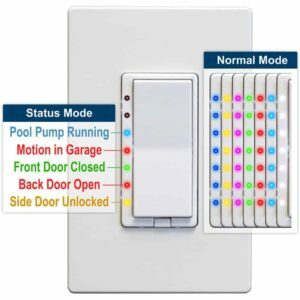 Some of the best Zwave wall switches can also be used to automate a variety of different tasks: turn lights off and on at particular times, to dim the lights automatically, or to work in concert with motion sensors to turn lights on when motion is detected. 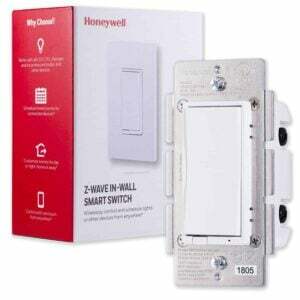 Investing in the best Zwave wall switch is critical to the success of any home automation project. So without further ado, let’s dive into our top 10 picks for Z-wave light switches in 2018. This switch uses a paddle-style design that’s quite attractive, and it’s easy to install. It’s compatible with Alexa, as well as other Z-Wave certified gateways. It can be controlled both wirelessly and physically and supports lights of all types. 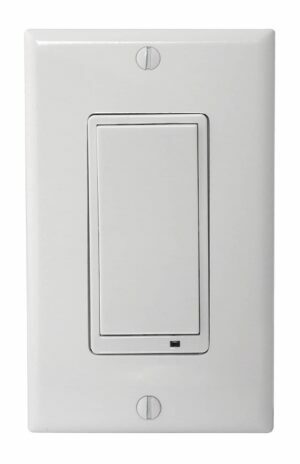 This is one of the best Zwave switch options available in the market today. This switch also uses a streamlined paddle design. It’s a 3-way wall switch and fits in a standard J-box. 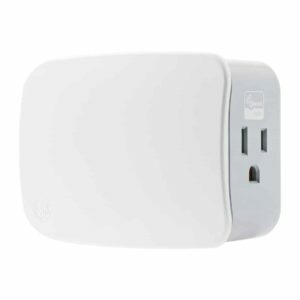 Unlike the GE Z-Wave Plus sensor, it also comes with a wall plate, though this may not be a good thing if you do not have standard white wall plates in your home. Note that this product is a Z-Wave switch, not the newer Z-Wave Plus switch. However, if you have a good network of Z-wave devices, it should not matter. This Z-wave Plus light switch has both a toggle and a dimmer. This makes it ideal for areas like bedrooms or dining rooms, where low light may be desired. It can even dim some LED light bulbs. It’s also a 3-way switch, so it can be used in rooms where more than one switch controls a light. This product from Leviton is another 3-way switch that includes a built-in dimmer. It also supports Alexa, and most Z-wave hubs. With a long range and an attractive design, it uses a Decora form factor that allows for easy customization and application of new wall plates. Low 600w/300w capacity for CFL and LED/incandescent bulbs, respectively. 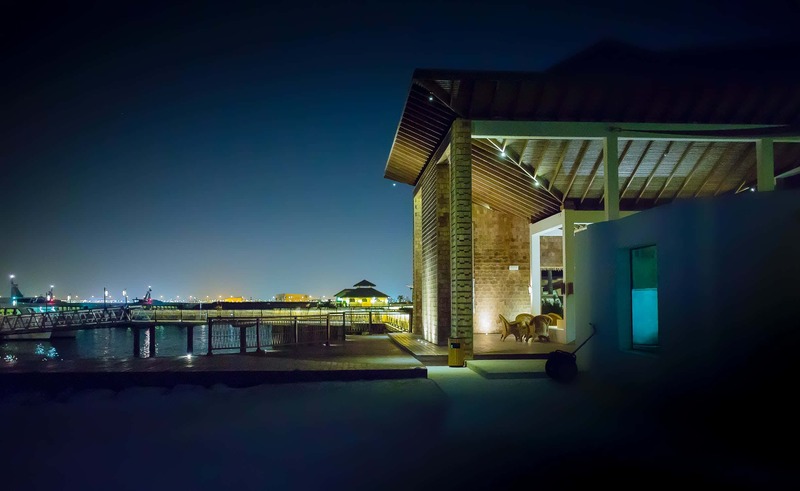 If you’re looking to control your outdoor lights – or even appliances – this outdoor control module by GE is a perfect choice. It comes with a weatherproof Z-Wave Plus outlet, which can be controlled by Alexa and Amazon Echo devices. It connects with hubs like Trane, Wink, Honeywell, and more. 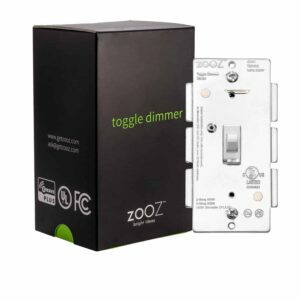 If you like to know the status of your different Z-Wave plus devices at a glance, this switch is perfect for you. It includes 7 notification LEDs which can be programmed to show different indicators – for example, if a door in your home is unlocked, or motion is detected in the garage. 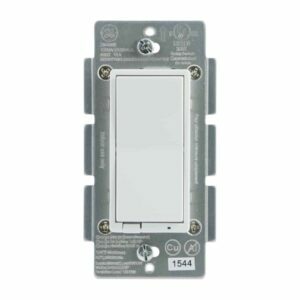 This is the best Z-wave light switch to consider if you have other sensors that you would like to monitor with the built in LED indicators. This switch is available in a few different styles. You can purchase a standard light switch, a dimmer switch, or even a fan control switch. This makes it easy to find the right switch for your particular needs. This product may not be a wall switch but is ideal if you have lighting that is not connected directly to your home’s wiring, such as desk lamps or uplights. You can use this wireless control module, and attach up to 2 devices. Then, these lamps or other devices can be controlled directly from your Z-Wave hub. This switch from GE is quite expensive, compared to our other picks, but includes some unique functionality. First, the IR sensor can easily be configured for low, medium, or high sensitivity, depending on your needs. 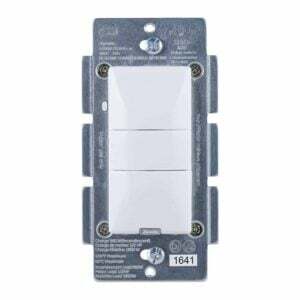 This package of 2 Z-wave Plus wall switches is ideal if you are setting up a 3-way lighting system in your home. This switch can use Amazon Alexa if used with Vera, Wink, Homeseer, or SmartThings. Home automation expenses can get out of control quickly and so proper planning is required. For example, in many cases, a $5 to $10 smart bulb may be the answer instead of a $30 wall switch. However, one should keep in mind that for most smart bulbs, the wall switch must always be on. This can be challenging in some households, especially those with many people/children. Furthermore, Z-wave Plus switches also function as repeaters, thereby amplifying your Z-wave network and improving response times. So despite the higher cost, Z-wave switches may be better investments in strategic locations. Whether you’re automating outdoor lights, looking to automate a desk lamp, or replacing all of your light switches, look through our top picks, choose the best z-wave light switch for you, and get your next project started today.